Since its founding in 1991, CWCF has had a vision of growing and strengthening the Canadian Worker Co-op movement, and in recent years, we’ve decided to take it to the next level. At the 2017 CWCF conference, members asked the Board and staff for a bold strategic plan, one that went beyond the status quo. As a result, a team led by Russ Christianson of Rhythm Communications conducted extensive consultations with CWCF’s members and others on their vision for the future of Canada’s worker co-op movement. 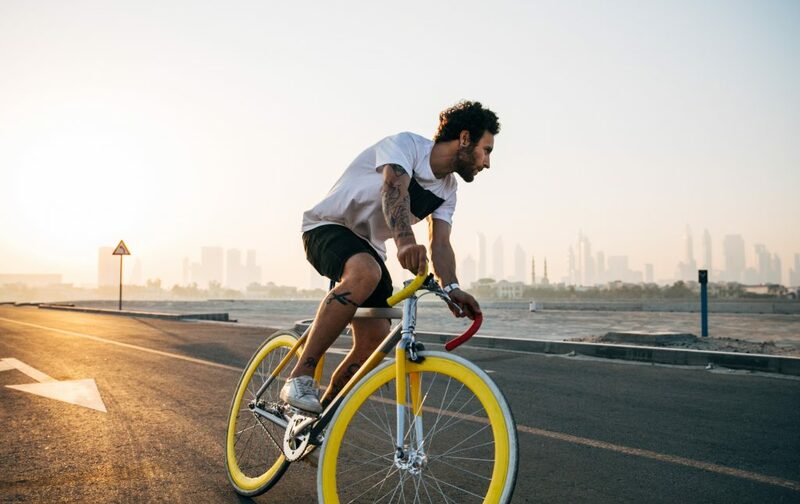 In the consultation process, one participant came up with the idea of a bicycle as a metaphor for the movement – a bicycle on a sunny day, propelled by a tailwind. It’s an apt metaphor for our state of affairs, for we believe the future of the worker co-op movement in Canada is bright, provided we can harness our members’ energy behind it. CWCF’s members approved the strategic plan unanimously at our 2018 conference. Now comes the exciting (and challenging) part. CWCF is in a relatively stable position, but given the upheaval happening in the Canadian economy, society, and environment, and indeed, around the world, mere stability is an insufficient goal to strive for. Issues such as climate change and precarious unemployment present a crisis, but also an opportunity for the Canadian worker co-op movement, one we hope you’ll join us in seizing, working more collaboratively with the Social and Solidarity Economy. We want your continued participation – so here’s a primer on what we’ve done so far, what we’ve got coming up, and where we want your input. We know worker co-ops across Canada want to strengthen ties with each other and with CWCF. That’s why we’ve organized a series of social events for members to connect and discuss problems and solutions they’ve encountered and reinforce the human side of our work. Our Executive Director, Hazel Corcoran, met with many of our members at a mid-January event in Vancouver, and we’re planning more such as an upcoming event at Glitter Bean Cafe in Halifax. Stay tuned for details on other events we have coming up , and if you’re interested in organizing an event yourself let us know – we’d be happy to help! Given the vast distances that separate many of our members, of course, connecting in person can be a challenge, so we’re increasing the subsidies available to attend our annual conferences. These are already a highlight for our members, but we’re planning to improve them by including more worker-owner presentations and re-emphasizing the social aspects. There will be more details on this year’s conference in the coming months. CWCF is also beefing up our presence online. If you haven’t checked out our feeds on Facebook or Instagram lately, do so now – there’s lots of great content on both, thanks to our recently hired social media assistant. We also want to engage our members in conversations through the discussion platform Loomio, so keep your eyes out for an invitation to join one of these soon, and we’ll be holding a webinar on our strategic plan in the coming months. And if you aren’t already subscribed to our newsletter, now’s your chance as we make the transition to a monthly publication, full of the best coverage of issues in the co-op sector, our new member profile series, upcoming events, and more. If you’re already subscribed to our newsletter, you may have seen our recent article about our revamped Technical Assistance program – grants we offer that connect you with experienced co-op developers for assistance on issues such as expansion, human resources, or any other area where you could use some help. And if you’re not already aware of the other benefits of membership in CWCF, check them out: did you know that we offer an RRSP/TFSA program? And Co-op Guard and Member Benefits, insurance programs offered exclusively to our members by The Co-operators? Those are just some of the reasons to join CWCF, and we’re hoping more co-ops will see the benefits and join us as we continue to implement our plan, but we can’t make any of this happen on our own. Studies show there’s still a lack of public awareness around worker co-ops, so we need to identify and recruit allies to help make our case, including the many other organizations in the Social and Solidarity Economy e.g. in the New Economy Coalition, and we’re counting on you to spread the word. You’ve already helped get us this far in drafting our strategic plan – don’t miss out on the chance to bring it to life.